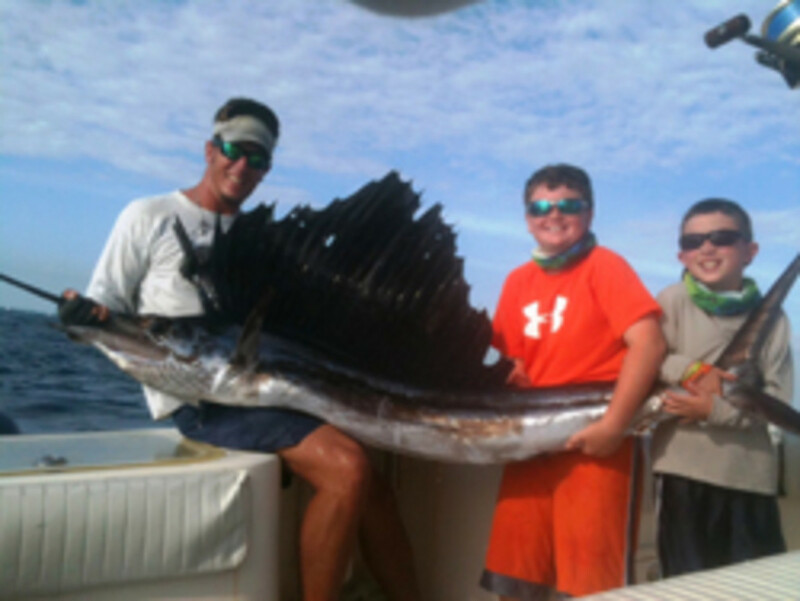 Besting more than 40 angler competitors, Phillip Hess, age 9, and T.J. Bowen, 8, captured top honors Dec. 18 at the 47th annual Islamorada Junior Sailfish Tournament. The Gainesville, Fla., residents fished with Islamorada’s Capt. Brian Cone aboard Contagious, releasing eight sailfish for the win. Second place, with five releases, went to Viva la Vida. Capt. Nick Ewald of Islamorada led solo angler Nicholas Cole from Atlanta. Anglers Macy Manning and Ashley Ecklund tallied four releases for third place, fishing on Cloud Nine with Capt. Greg Ecklund at the helm. All are from Islamorada. Overall, 44 sailfish were released with a total of 66 hookups, according to tournament organizer Tammie Gurgiolo. More than $10,000 was raised for Toys for Tots, providing gifts and holiday cheer to the area&apos;s needy children, a collaborative effort between members of the U.S. Marines and Capt. Michael “Biggs” Biggie of Beards and Grins for boys and girls.